In June 2013, I welcomed the 27th cohort of rising undergraduate seniors from across the country to our Public Policy and International Affairs Junior Summer Institute (PPIA/JSI) program for students interested in public policy. Thirty –five students, hailing from 28 colleges and universities, were here for the seven-week program. At the welcome event, one student stood out from the crowd because he was impeccably dressed, despite the summer heat and humidity. Just like his wardrobe that evening, Steeve Simbert’s application to JSI stood out from the other 492 applications because of his remarkable story of survival and perseverance and his passion for his native country, Haiti. On January 10, 2010 Steeve was on the second floor of a fourth story building in Port-au-Prince with his SAT tutor. Suddenly, the building started to shake. Outside, people screamed, buildings fell down and fires broke out. The office building Steeve was in collapsed. Amidst the chaos and rubble, Steeve pulled his tutor from the debris and carried him through the streets. To complicate matters, the tutor suffered from a heart condition, which required Steeve to locate and administer the teacher’s medicine. By some reports, the 7.0 magnitude earthquake killed more than 100,000 people. Nearly a month after the earthquake, Steeve and his twin brother moved to the U.S. and worked retail jobs to survive. He earned a full scholarship at St. Thomas University in Miami, and the fall semester moved to Washington, D.C. for an internship in the U.S. House of Representatives with the sponsorship of the Congressional Black Caucus Foundation (CBCF) and Wal-Mart. The internship opened Steeve’s eyes to the world of politics and public policy. During a presentation from graduate public policy schools about academic programs, Steeve met a recruiter from the Wilson School who told him about the PPIA/JSI program. Even though he was a sophomore and thus not eligible to apply, Steeve made a mental note of the program for the following year. 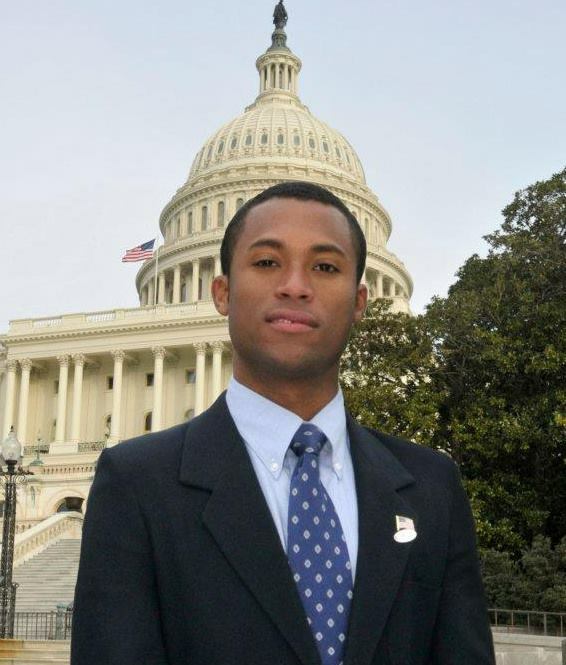 Compelled by his love of politics and his sense of Washington being at the “center of the world,” Steeve transferred to Georgetown University and interned for Majority Leader Senator Harry Reid. When he became eligible to apply for JSI, Steeve’s commitment to public service made him a strong candidate. He said even though he did not know much about public policy before entering the program, the Wilson School’s JSI program was attractive because it offered courses taught at different levels based on applicants’ previous coursework. Steeve said the PPIA/JSI program was rigorous and challenging, but he understood that a strong foundation in quantitative skills was critical to becoming an effective policy leader. The program offered courses such as statistics and economics that are designed to bolster quantitative abilities. Following the completion of the JSI program, Steeve followed the advice of his JSI evaluation and took additional statistics and economics courses at Georgetown. He also studied abroad at Sciences Po in Paris while interning at the French Ministry of Foreign Affairs & Overseas. In May 2014, Steeve learned he was one of two recipients of the Nas Scholarship Fund, a scholarship set up by the rapper Nas and the Seattle-based company Koru to prepare students coming out of college for the workforce. Steeve will complete his undergraduate studies with a study abroad program at Cape Town University, South Africa this fall. He then plans to pursue a graduate degree in international affairs. Ultimately, he wants to run for public office in Haiti to connect Haiti and the international community and reform the way international aid is invested in his home country.